During that campaign, Masood, a former MLA, had faced severe criticism after a video of him delivering a hate speech against the BJP’s then prime ministerial candidate Narendra Modi surfaced on social media. 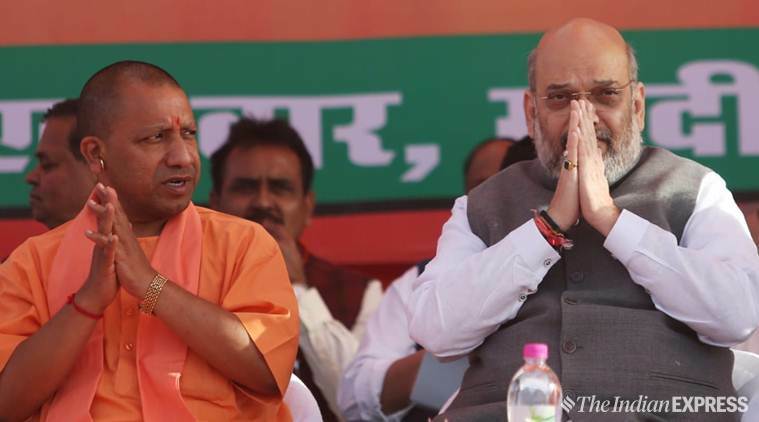 Uttar Pradesh Chief Minister Yogi Adityanath kicked off the BJP’s Lok Sabha poll campaign in the state from Saharanpur Sunday by targeting the constituency’s Congress candidate, Imran Masood, and referring to him as Jaish-e-Mohammad chief Masood Azhar’s “son-in-law” who “speaks his language”. In the 2014 Lok Sabha elections, the BJP candidate Lakhanpal had defeated Congress’ Masood by 65,000 votes from Saharanpur. 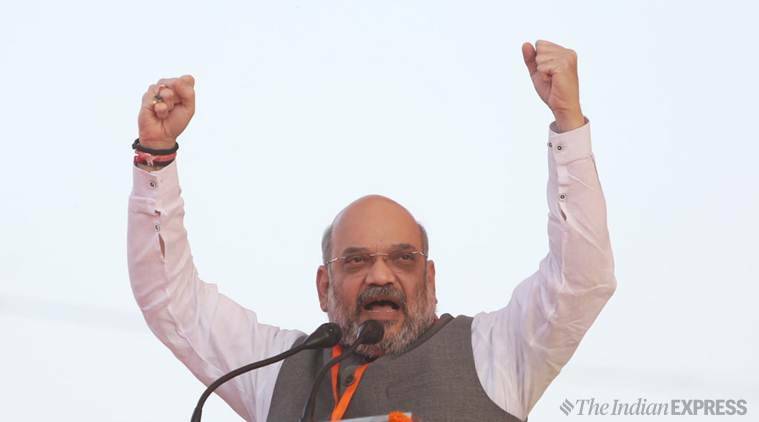 During that campaign, Masood, a former MLA, had faced severe criticism after a video of him delivering a hate speech against the BJP’s then prime ministerial candidate Narendra Modi surfaced on social media. On Sunday, Adityanath also attacked previous UP governments over the law-and-order situation. “In the last two years, thanks to the blessings of the people of this state, we have left only two options for criminals. Either they go to jail or they leave the world,” he said. He also claimed that the BJP had rid the state of “Goonda tax”, which he alleged was prevalent under previous state governments. Ever since it came to power in UP two years ago, the BJP government has come under the scanner for the number of encounters that has happened under its watch. In the first 16 months of the government, UP police recorded more than 3,000 encounters in which at least 78 alleged criminals were gunned down. 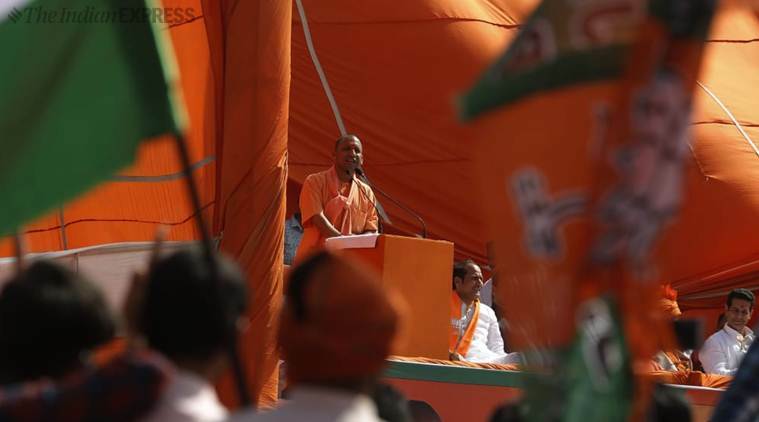 Adityanath also attacked the Congress over Sam Pitroda’s recent comments questioning the IAF’s airstrikes on a Jaish camp in Pakistan’s Balakot following the Pulwama terror attack. “There is a Congress mahaguru. A mahaguru for generations. His name is Sam, and he has become a ‘shame’ for the country. He questions the country’s Army, forces, and their valour and bravery. When the mahagurus are like these, what do we say about the maha-chelas (disciples),” he said. In a veiled attack on Rahul Gandhi, Adityanath referred to the Congress president’s constituency Amethi as the “most backward” of all regions in UP. “I was listening to the ‘naamdaron ke kuldeepak’ (scion of the dynasts) in Parliament. They said when they will come to power, they will grow a 1.5-foot potato. They think potato is a fruit. They must be told it is not a fruit like mango. They went to Amethi, and the sugarcane farmers asked them for a sugar mill. They said what mill, we will grow sugar on trees. They said farmers, during the Congress regime, will develop so much that they will feel the need to put tiles in their farms,” he said. Apart from the rally, Adityanath also took part in rituals at the Shakumbhari Devi Temple, 30 km from Saharanpur city.